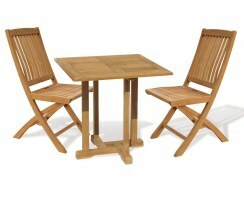 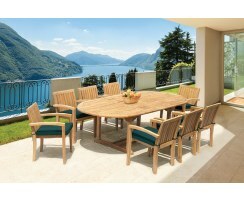 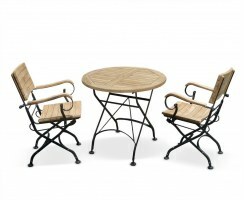 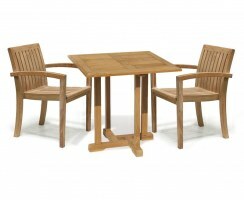 These teak garden table and chairs are the epitome of luxury and style. 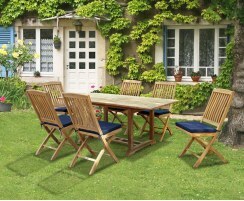 Enjoy fine alfresco dining in comfort with our all-weather garden furniture sets, perfect for use at home, in the garden or on the patio, and in many cases, suitable for commercial use in cafes, restaurants, bars, hotels, etc. 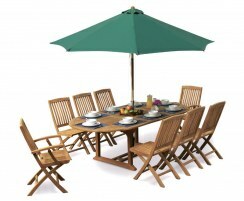 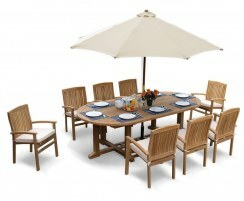 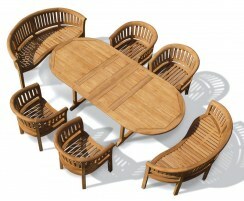 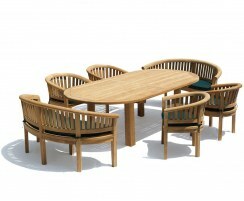 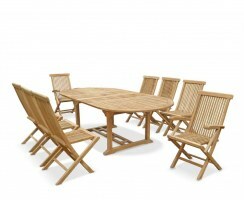 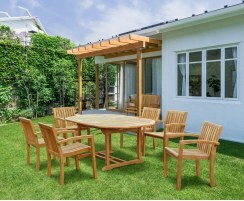 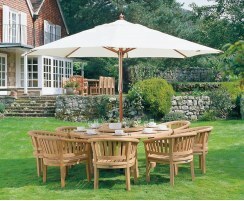 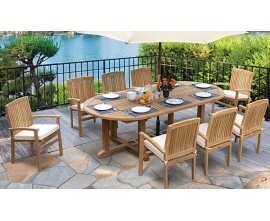 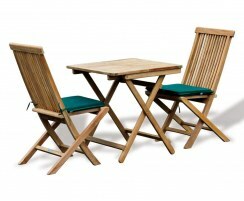 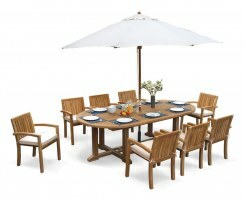 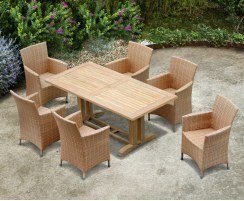 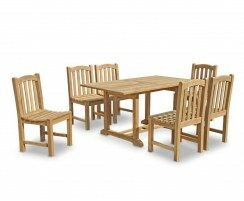 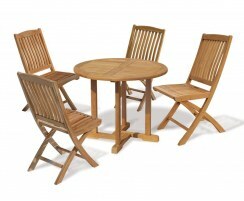 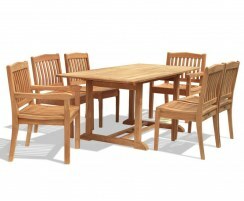 Many of our teak outdoor dining sets include folding, stacking and extending options for added practicality. 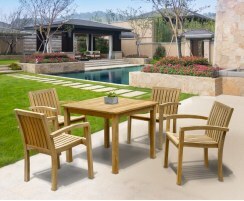 Our teak garden table and chairs are a practical and impressive focal point in any indoor or outdoor setting, and as they've been crafted from the finest grade-A teak or synthetic Rehau rattan, they're built to last, representing excellent value, quality and craftsmanship. 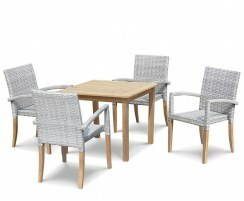 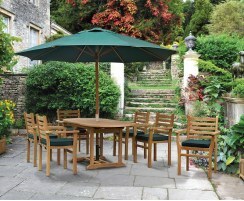 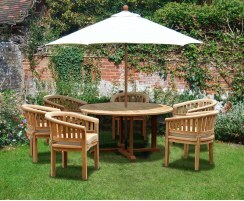 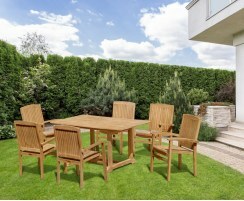 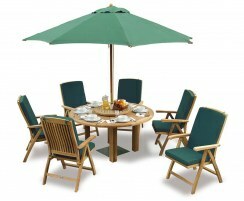 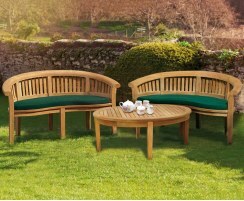 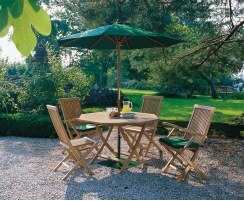 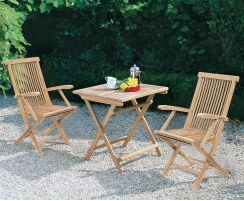 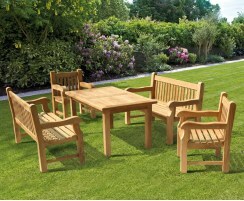 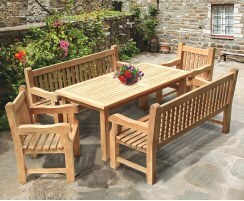 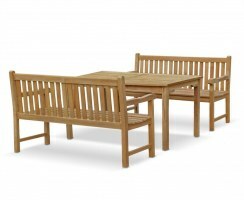 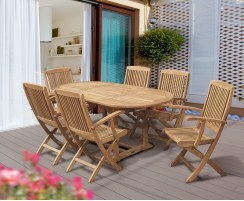 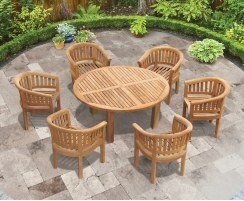 These hardwood garden furniture sets can remain outside all year in all weather. 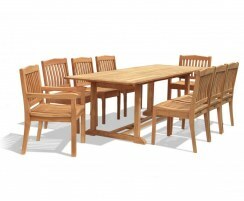 These teak outdoor dining sets require minimal maintenance and can even be left untreated if preferred.